. Available with slim fit, plain fronted trousers, the Navy is sure to be one of our best sellers this season. The Navy is also available with a pleated, regular fit trouser. Available from 2 years old through to a 54 chest. 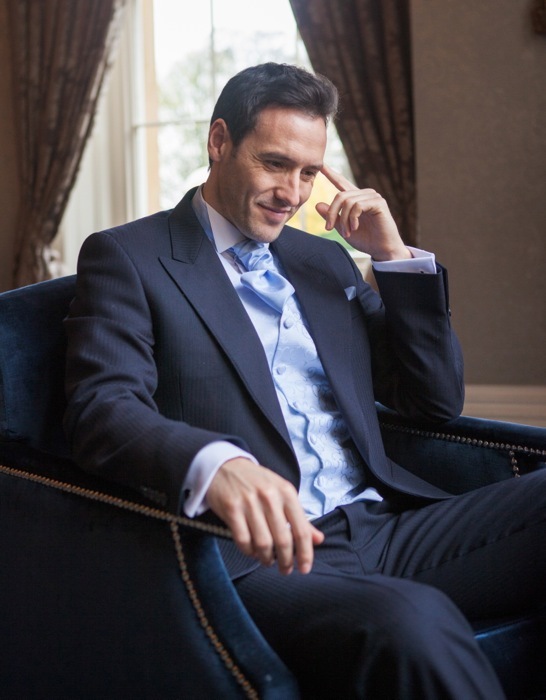 We have also introduced the matching Navy Herringbone Waistcoat for the tailcoat and lounge suit. 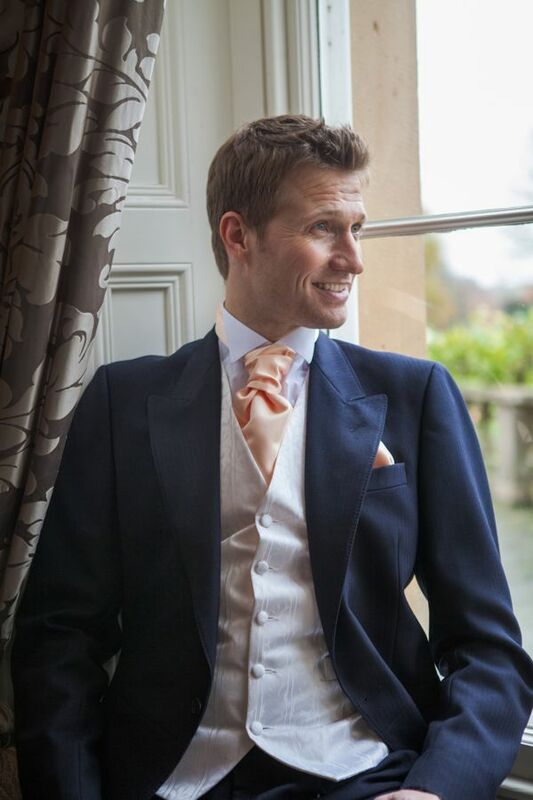 The Navy has been a popular choice with vintage wedding suits, twinning perfectly with our range of tweed waistcoats as well as our new tan leather shoe, why not check out our vintage range? Pictured right is the Navy Herringbone tailcoat with Blue Modena waistcoat and Pale Blue Ruche. Below the Navy Herringbone Tailcoat is featured with Blue Mexico and Royal Blue Ruche. We stock nearly 200 different colours in our neckwear collection! 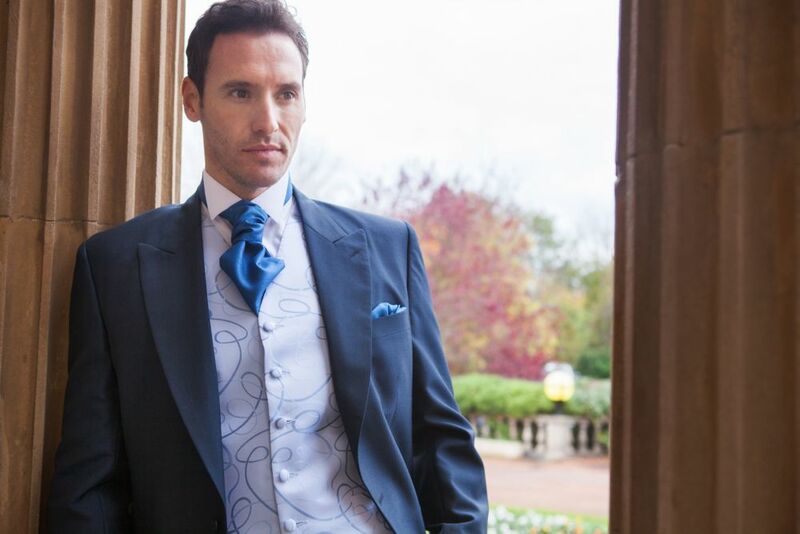 New for 2015 we will be offering a Royal Blue Tailcoat and Lounge suit, available in slim fit!